Today was an incredibly happy mail day! Look what arrived from the post . 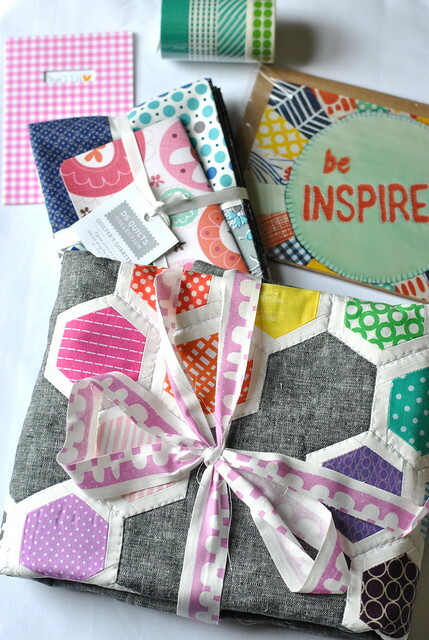 . .
A stunningly beautiful pillow cover and goodies from Holly at Bijou Lovely! I spied this pillow cover in the Pillow Talk Swap Flickr pool, and it was one of my favorites. 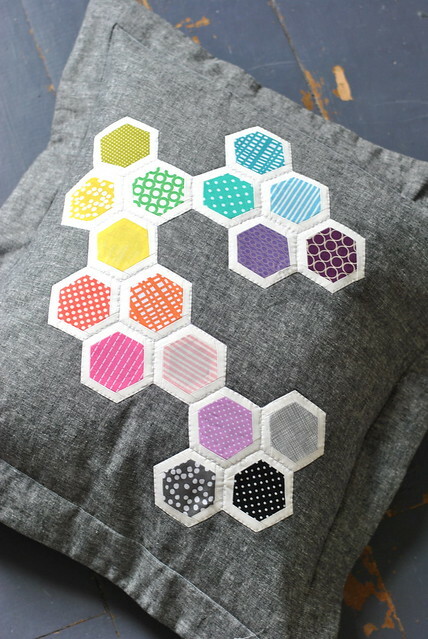 I fell in love with the rainbow of framed hexagons, and the bright, monochromatic prints set against that luscious gray background. So beautiful! First, a close-up of the extras: Holly was so sweet to throw in one of her original photos, some Denyse Schmidt fabric (love this!) and super-cute patterned tape. Love! Thank you Holly for the incredibly special pillow! 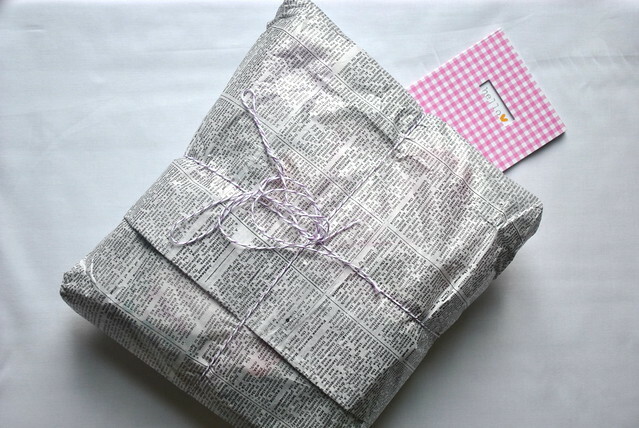 I love everything about it, and you are so thoughtful! I am so glad I signed up for the this swap, which has been a positive experience all the way around! 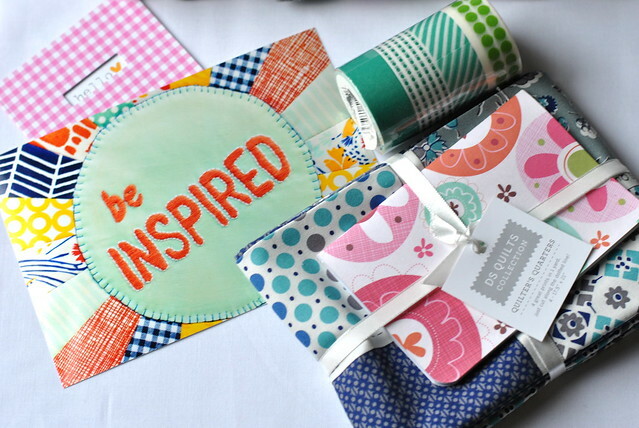 An awesome package indeed:) -- so many gorgeous colors!! i'm with you, i love the framed hexies! and that background grey is gorgeous.